Stuf” Said is one of the books I’m reading this winter, and I’ve found it to be a fascinating read that’s hard to put down. 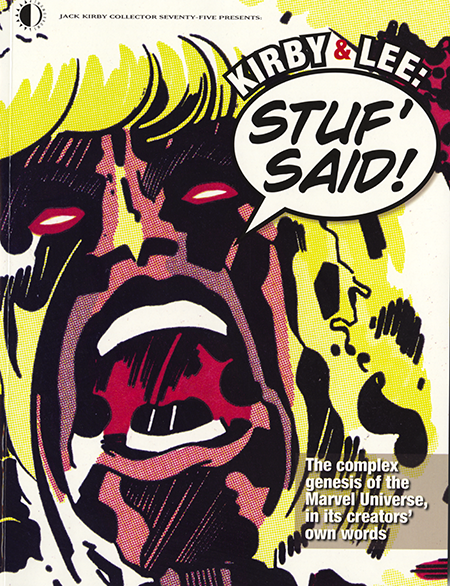 It probably provides the most cogent and balanced analysis I’ve seen of the Marvel creation myths. It goes a long way to giving Jack Kirby and Steve Ditko their due as far as credit is concerned which is absolutely a good thing. That being said, as a twelve-year old comics consumer, I have to say that it wasn’t the art that lured me over from DC Comics… it was the magnetic pull of the words.